…at the church, had to leave early on behalf of for a funeral of a school mate (sad at this stage of my life – mid 50s). Seriously – if you love where you live – be there! Well glad you did because there is some traction there. Stoke was voted…BEST place in NZ…. a cool place to be not so long ago! And if you ask my opinion? Well to be frank……I concur. And to my ole school mate Trev…. 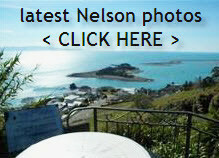 This entry was posted in Nelson on August 24, 2014 by David Leggott.